Dimitrovgrad, Ulyanovsk region (Russia). Construction of the world’s most powerful fast-neutron nuclear reactor started in Russia. The research multipurpose reactor called MBIR will be used for nuclear power development projects. The first concrete of the reactor was filled on Friday, September 11, at site of the Russian State scientific center “Research Institute of nuclear reactors” (NIIAR, a part of Rosatom’s branch “Science and Innovations”). It’s planned to commission the reactor in 2020. MBIR is a sodium-cooled fast breeder reactor the capacity of which will amount to 150 MW. It’s being constructed within the framework of the Federal target-oriented program “New generation of Nuclear power technologies for the period of 2010-2015 and in the prospective up to the year 2020”. 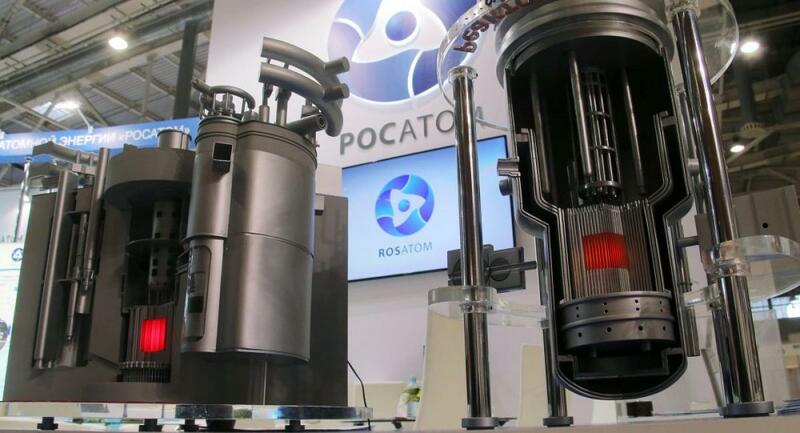 As nuclear expert Aleksandr Uvarov (editor in chief of the website AtomInfo.ru) said, MBIR is vital for development of the new types of nuclear fuel and construction materials. He noted that at present BOR-60 reactor is used for these purposes but its expected life will come to an end in foreseeable future. That is why Russia needs one more reactor that will replace BOR-60. MBIR will become the most powerful research reactor among those being operated, constructed and even designed in the world. Its unique technical characteristics will allow resolving lots of research problems as well as creating new energy installations including fast-neutron reactors for nuclear fuel cycle closing.